This week in Kansas has been so hot! The 100 degree temperatures are great for the wheat harvest. I had a decision to make, stay home and enjoy the climate controlled comfort of home thinking of places to go OR load up and enjoy a day exploring. Load up Wylie!! We headed west to Barton County, an area known as Post Rock County. This area is approximately 200 miles from the Nebraska border to Dodge City. 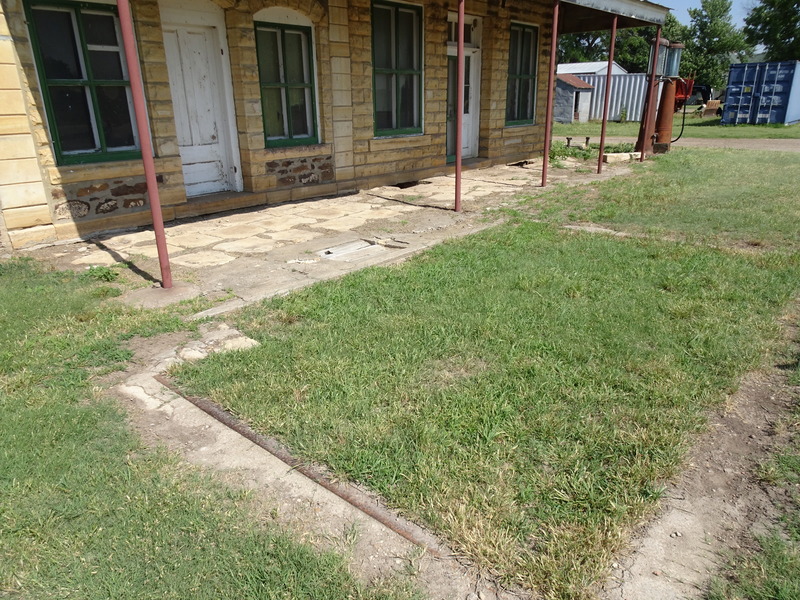 Boyd, KS was a station and shipping point for the railroad. All that is left is a grain elevator, a farm and this abandoned station. Was so surprised to see the two gas pumps! On our way to Olmitz we saw this jackrabbit. Our rabbit population is mostly cottontail, but the jack is making a comeback. Olmitz was established in 1885 mainly by Austrians. It is quiet little town, population 114, the catholic school has closed, kids are bused to Otis, about 6 miles away. This little bar The New Place, was a great stop on a hot day. I will post photos of the beautiful catholic church in the series of Churches of the Prairie, I can’t wait for you to see it, it was SO beautiful! 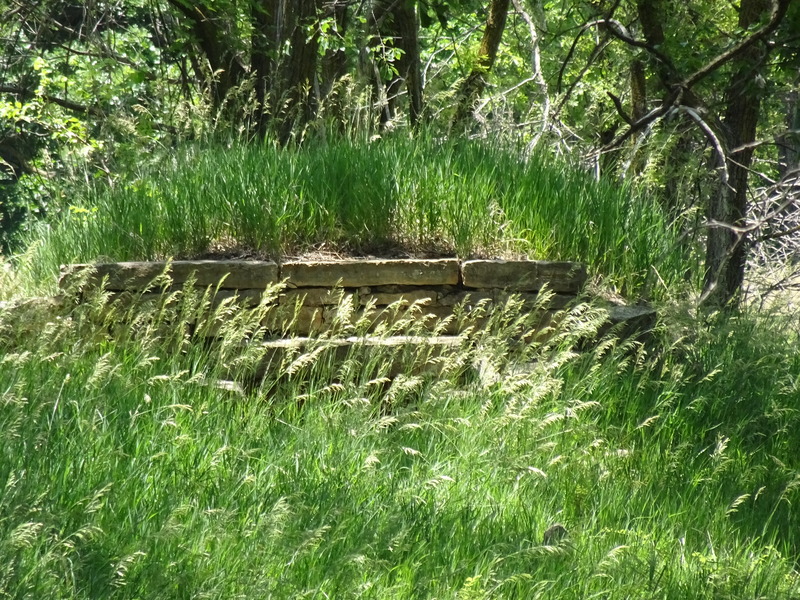 From Olmitz, we traveled north on the backroad to find ruins of Barton County. The temperature was 103 and we had a few people stop to see if we were okay. Thank you Barton County for checking on “an old grandma and her pup”. I see so many of these abandoned places and there are some that I would love to refurbish. Someday I would love to go into one of the cellars! There is a group in the Flint Hills that gives tour of the Kansas stone cellars. Sign me up! This was where the Lutheran church held their Sunday school classes. A little farther north driving along the river bottom and I was thinking “what a great place for a home”, someone else thought that too! The stories these homes could tell. This entry was posted in Day Trips and tagged abandoned Farms, Kansas, POST ROCK on June 16, 2016 by Debra Farmer.